The following are frequently asked questions at the Frankfort Park District. If you still do not have your question answered after reading this page, please do not hesitate to call us between 8:30 a.m. and 5 p.m. Monday through Friday and Saturday from 9:00 a.m. to noon. Or, feel free to email a staff member for a personal response. Can I register for programs over the phone? I want to register on-line but the web site says I need a customer ID. Can I register right now without it? My child missed a class and it was only one-day. Can I get a refund? Do I need to register for free programs? How do I rent space at the Founders Community Center? Q: Where is the Park office located? 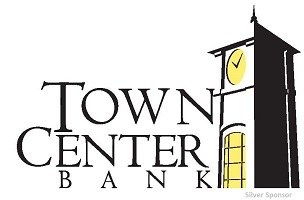 A: Our main business office is located at the Founders Community Center, 140 Oak Street in downtown Frankfort. We are one block south of Nebraska Street and 5 blocks east of LaGrange Road. The weekly early childhood educational classes are held at the Puent Building located at 400 W. Nebraska Street, one block east of LaGrange Rd. A: Registration can only be completed on-line at www.frankfortparks.org OR in person at the Founders Community Center, 140 Oak Street, Frankfort, IL 60423 OR via fax, 815-469-9275 or US mail. Click here for a PDF of our registration form that you can complete and fax or mail in to the Park District office. Q: I want to register on-line but the web site says I need a customer ID. Can I register right now without it? A: No, the way our on-line registration system works, all first-time users need a customer ID assigned. If it is after hours or on the weekend, your ID request will be processed on the next business day. You can then register on-line at any time thereafter using that customer ID. Q: My child missed a class and it was only one-day. Can I get a refund? A: There are no refunds for one-day programs. Also, refunds are not given for special events, trips, or leagues. Refunds of 100% will be made, less a $5.00 service charge, if notified at least 2 working days prior to the start of the program or if a doctor’s note is provided for an injury or illness prior to the second-class meeting. A 50% refund will be given if notified prior to the second course meeting for reasons other than a doctor-verified illness or injury. *With the exception of patrons who have registered on-line, the convenience fee is NON-refundable. *NOTE: All refund requests must be completed in person at the park district office. They cannot be completed over the phone or by fax. Q: Do I need to register for free programs? A: Yes, pre-registration is required for free programs to ensure the instructor is properly prepared for the class. Q: How do I rent space at the Founders Community Center? A: The actual rental and rental fee deposit must be done in person. You can click here for a printable PDF of our rental form that you can complete before coming in. The Founders Room is available for showers, parties, meetings and all of your conference needs. It is adjacent to a large kitchen, which may be used free of charge when renting other program space (based on availability). In addition to the Founders Room, there are four large classrooms and a full gymnasium, which can be rented. The Founders Community Center is handicapped accessible with ramps and an elevator. In our parks, the shelter at Main Park and the pavilions at Commissioners Park may also be rented. For more information, please click here for a PDF of rental space options and rates. Q: Where is Commissioners Park? A: Commissioners Park is located on 80th Avenue between Laraway Road and Sauk Trail. It is home to Fort Frankfort, the Splash Park, baseball/softball fields, soccer fields, a one-mile walking path, tennis courts, a skate park, disc golf, multiple paved parking areas and roller hockey/basketball courts. Also located on the grounds of Commissioners Park are the Bark Park (dog park), courtesy of Operation Playground and two concession/washroom facilities thanks to a partnership agreement with the Village of Frankfort.